Robert Browning was a famous English poet and playwright. 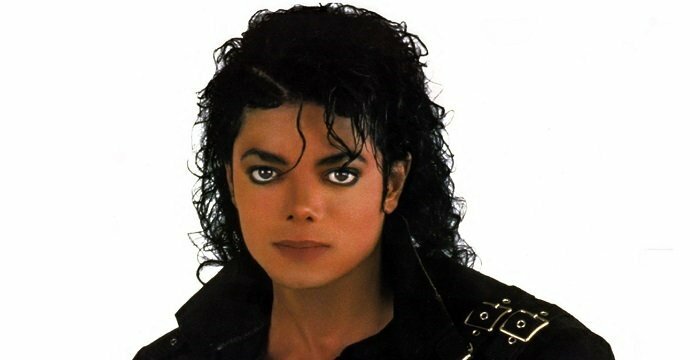 Check out this biography to know about his childhood, family life, achievements and other facts about his life. Robert Browning was an English poet and playwright who became famous during the Victorian era for his dramatic verses in poems and plays. His writing skills, imagination, and way of expression were highly influenced by his father’s experiences. When his father was sent by his grandfather to supervise the operations of a sugar plantation in the West Indies,he was completely disgusted with the slavery being practiced at the sugar plantations and returned home after giving up the cushy job. This angered his grandfather who deprived his father from enjoying the family fortune made from the sugar plantation. Thus Robert’s father had to forego a life of plenty and took up a simple clerical job with the Bank of England. He amassed a huge library where there were hundreds of volumes on different topics on his own salary, got married and raised his family without taking anything financial help from his father.Robert Jr. picked up his flair for describing events from his father who could talk to him on various incidents that had occurred a long time ago very explicitly and clearly. His rise in popularity as a poet was due to his dramatic monologue where a character reveals his or her personal insights to a listener. His works were initially regarded by the poets of the 20th century to be too obscure but eventually became highly popular. Robert Browning was born in Walworth in the parish of Camberwell in Surrey, a suburb of London in England on May 7, 1812. 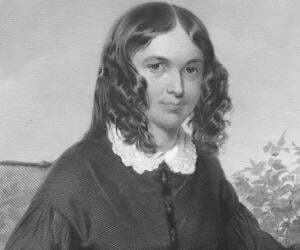 His father was Robert Browning, Sr. and his mother was Sarah Anna Wiedemann, the daughter of a German ship-owner settled in Dundee in Scotland.She was also a talented musician. He was the first child of his parents and had a younger sister named Sarianna. His father raised his family by working as a clerk in the Bank of England for a pay of only £150 per year. He amassed a library containing almost 6000 books, including some very rare ones, which became the basis of the younger Robert’s education at home. He lived in Camberwell with his parents and sister till he got married in 1846. He attended a couple of private schools but found them totally unsuitable for his pursuit of becoming an accomplished poet and did not continue with normal school life. Instead a tutor was hired for him to study at home with the help of the books in his father’s library. In spite of having no formal education during his childhood and being home-schooled, he was an extremely bright student who completed reading all the fifty volumes of ‘Biographie Universelle’. He wrote his first book of poems when he was only twelve years old but destroyed it as he could not find anybody to publish it. He had learntFrench, Greek, Italian and Latin fluently all by himself by the time he was fourteen years old. He joined the ‘University College of London’ in 1828, the first year it was established,to learn Greek but discontinued his studies there after the first year. He could not attend either the ‘Cambridge’ or the ‘Oxford University’ which were open to members of the ‘Church of England’ only as his parents both followed the ‘Evangelical Faith’. He had composed the arrangements of a large number of songs with the help of his musical talent which he had inherited from his mother and dedicated himself to writing only poetry instead of doing a formal job as his parents wanted him to. He was dependent financially on his parents until the age of 34 till he got married before which he published his poems by taking money from his father. 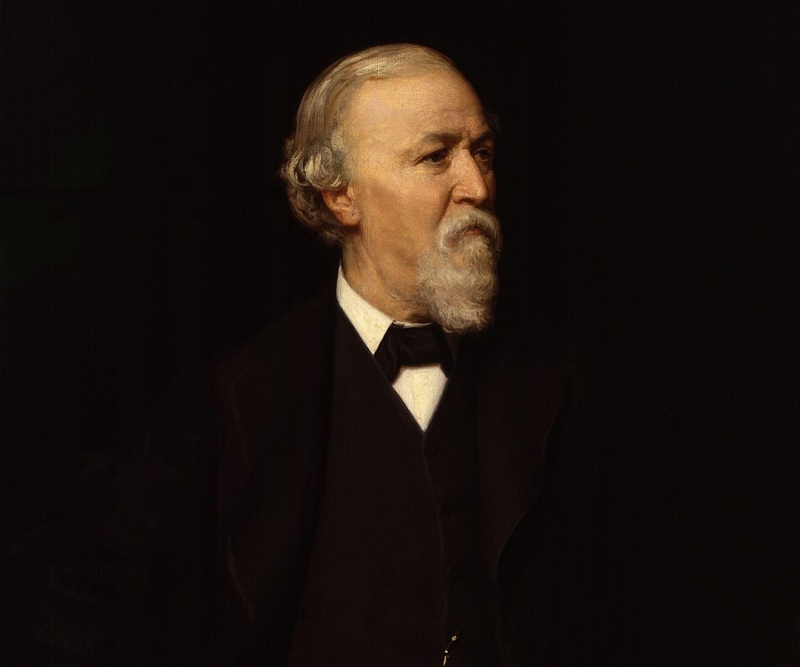 Robert Browning started his writing career in 1830 but did not get much success during his initial days as a poet though he was supported whole heartedly by his family in accomplishing his objective. After mastering the art of writing dramatic monologues, he published his first long poem titled ‘Pauline, a Fragment of a Confession’ in March 1833 which caught the attention of Dante Gabriel Rosetti. It was followed by the poem ‘Paracelsus’ in 1835 based on a visit to St. Petersburg in Russia, with the Russian Consul-General named Chevalier George de Benkhausen. 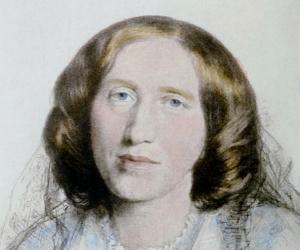 It received encouraging reviews from critics including Charles Dickens and William Wordsworth. This poem gave Browning an entry to the literary circle in London where he met actor William Macready who asked him to write verses for his stage plays. The first play ‘Stafford’ was performed only five times while the second play written by him was not performed at all. The third play failed miserably bringing an end to the relationship between him and Macready. His next poem, ‘Sordello’, published in 1840, was thought to be too lengthy and obscure and affected the reviews of poems he later wrote even though they were much shorter.This poem significantly reduced his reputation as a poet from which it took him almost a decade to recover. To get back his earlier reputation he moved away from the style of writing followed by P. B. Shelley and adopted a personal style for the series of eight pamphlets titled ‘Bells and Pomegranates’ published during 1841 to 1846. His wife Elizabeth, who was older than him by six years, was a much more popular poet when he married her. During the happy years from 1846 to 1861 that he spent with his wife in Florence, Italy, he did not write much. His only work during that time was to dedicate his book of poems ‘Men and Women’ to her while she showed her love for him by presenting him with her book ‘Sonnets from the Portuguese’. Unfortunately, his wife died in 1861. He brought out ‘Collected Poems’ in 1862 and ‘Dramatis Personae’ in 1863 for which he received highly critical acclaim from the critics who were already highly sympathetic about the loss of his wife. ‘The Ring and the Book’, a single poem stretched over 12 books and written during 1868-69 based on an old book describing a murder and trial in Rome,gained him a lot of popularity and he came to be known along with Alfred Tennyson as the two best poets during that period. Browning continued to write poems and plays for another twenty years,but it was the period during the late 1860s that he was able to reach his pinnacle of glory as a poet. As he went on writing, his influence in the literaryworld grew by leaps and bounds until his death in 1889 on the day his final volume of verses titled ‘Asolando’ got published. After his death he was regarded as a philosopher-poet whose poem ‘Caliban upon Setebos’ reflected the ‘theory of evolution’ as suggested by Charles Darwin and other scientists. 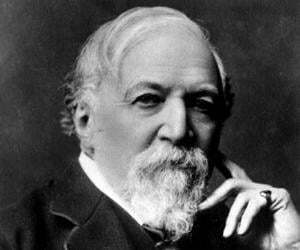 Robert Browning is best known for the poem ‘The Pied Piper of Hamelin’ which was very popular among children. It was published in the paper ‘Dramatic Lyrics’ in 1842.He himself did not regard this poem to be consequential at that time but it became popular later. In 1862 he published ‘Collected Poems’ and in 1863 published ‘Dramatis Personae’ for which he received high praise. ‘Dramatis Personae’ has both a first and a second edition. His popularity shot up with the book ‘The Ring and the Book’ which he wrote in 12 volumes and published during the period November 1868 to February 1869 after coming back to England. Robert Browning received an honorary D.C.L. (Doctor of Civil Law) degree from the ‘Balliol College’ connected to the ‘Oxford University’ in 1887 and was made ‘Governor of London University for life. He was offered the ‘Lord Rectorship of Glasgow’ but refused to accept it as he hated speaking in public. 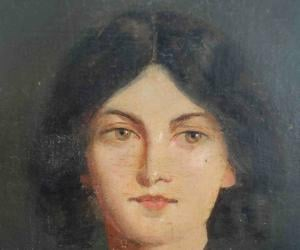 In 1845, Robert Browning met Elizabeth Barrettwho was a semi-invalid and a very popular poet in her own rightthrough her book of poems titled ‘Poems’ which he admired hugely. Despite her dominating father’s disapproval, Browning managed to marry her on September 12, 1846 and eloped with her to Pisa and then to Florence in Italy a few days after marriage. Elizabeth’s father was so disappointed with the marriage that he disinherited his daughter and the Brownings had to live on her cousin’s inheritance. They and had a son named Robert Wiedemann Barrett Browning. After Elizabeth’s death in 1861,Browning and his son returned to England. Browning’s works became so relevant that the ‘Browning Society’ was founded in 1881 in England and America to study more about them. Robert Browning died on December 12, 1889 in Venice at his son’s home and was buried in the ‘Poet’s Corner’ in Westminster Abbey’ adjacent to Alfred Tennyson’s grave. The recording of his voice reciting ‘How They Brought the Good news from Ghent to Aix’ was first played in 1890 on the anniversary of his death. The ‘Browning Society’ was formed when he was still alive which a rare phenomenon was for a poet.